Property 2: Stunning modern Beachfront House at Oakura Beach. Property 10: Private, seaside cottage with stunning views. Property 14: Absolute waterfront, private paradise. 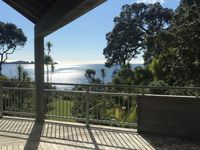 Property 17: Oakura Lookout is a comfy bach overlooking Oakura with some water views. 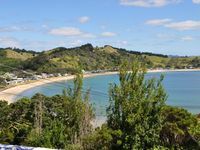 Property 22: OAKURA COAST, NORTHLAND - WHANGARURU SERENITY.